Slow Pony is an accordion-centric intense musical expedition: an ever relvolving cast--of one to many-- that performs music from many far (some no-longer-existing) corners of the globe. They feel passionate about studying and playing musics that are at risk of being forgotten, hoping the audience might remember the lost dances. Now featuring - Argentine Tangos, Brazilian Chorros, French Musettes, Balkan Folk, Gypsy Jazz, Klezmer, and Original stories to boot! 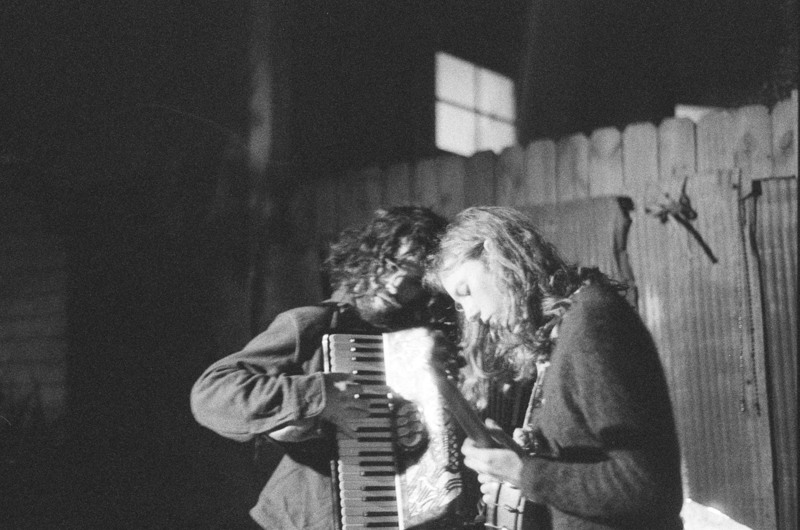 The evocative rhythms and charming melodies of Slow Pony are sure to please and intrigue a wide-range of audiences-- from all generations and in many settings. When you enjoy and support this music, you too are helping to preserve the endangered culture of independent and inquisitive music. If you listen hard enough, you can feel how painful it is to be condemnned to a life a wandering around with an accordion and all your worldly possessions strapped to a framepack trying to spread the gospel of joy! "Just listening now [...] and I wanna cry. It is so beautiful! [...] Are you around this weekend?